Public transport networks around the world are becoming more and more sustainable. This is due to stricter emissions regulations as well as increasing public demand for cleaner and greener modes of transport. This growing attention to sustainability can also be seen in the ferry sector, which plays a vital public transport role in many countries. The Dutch inland ferry sector consists of more than 300 ferry services. EU emissions regulations concerning inland shipping will become stricter in the next two years. 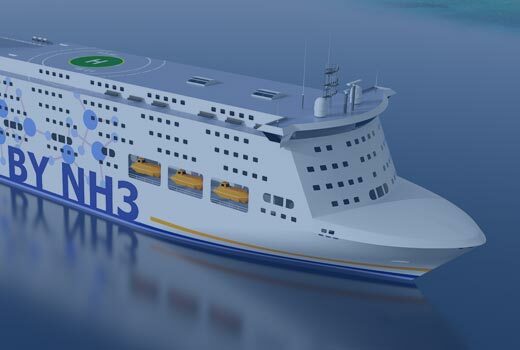 C-Job has designed the electric Ro-Ro ferries to recharge their batteries during the unloading and loading of passengers and vehicles. In order to maintain efficiency of service and a quick turnaround, this charging process will a maximum of four minutes. This notably short charging period will be enough for the vessels to operate a 24/7 service with no overnight charging required. 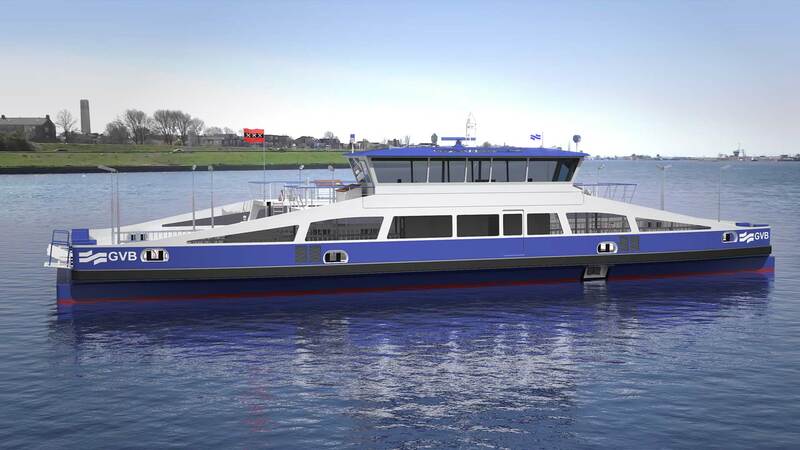 The new vessels will replace existing ferries that currently operate on three different routes west of Amsterdam. 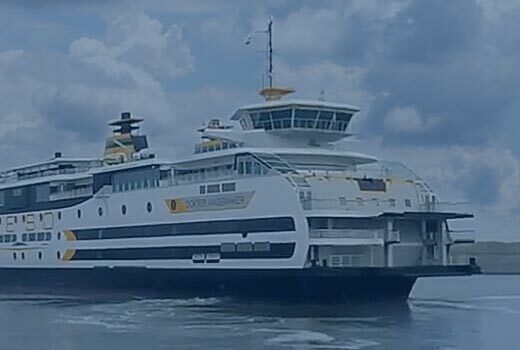 Managed by transport operator GVB, these ferry services are utilised by a wide range of users: including pedestrians, cyclists, cars and trucks. The ferries will also be able to transport oversize loads of up to 100 tonnes with an axle weight of 12 tonnes. The scope of the ferry design not only incorporated the clients’ requirement for an electric-powered vessel. 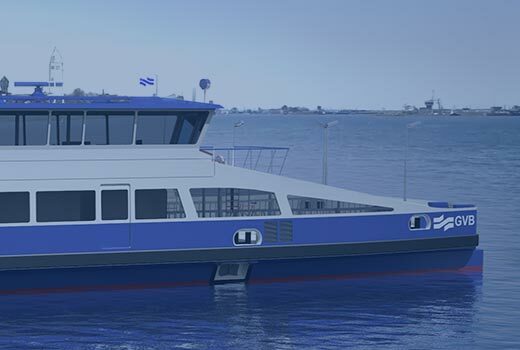 In addition to their ‘plug-in’ electric capabilities, the new ferries will also be able to recharge their own batteries using an on-board diesel generator. This will be used during non-standard operations such as sailing to a nearby shipyard for service or maintenance. Public transport company GVB provides metro, tram, bus and ferry services to the city of Amsterdam and surrounding municipalities of Diemen and Ouder-Amstel. GVB handles more than 800,000 passenger journeys per day, with passenger safety, comfort and hospitality playing a central role. To maintain accessibility and facilitate social and economic growth in the Amsterdam area, GVB works together with all involved parties to provide an inviting, accessible and sustainable public transport network.